The flowering stage is very fascinating. 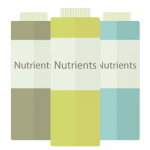 At this point, your plants will need less humidity, slightly lower temperatures, and extended darkness periods. 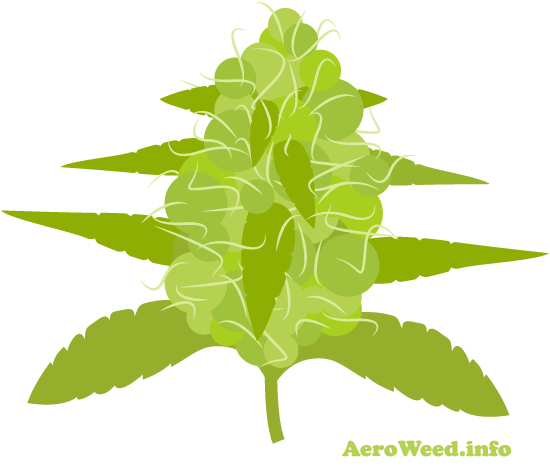 Female marijuana plants show their first pistils early in the flowering stage. 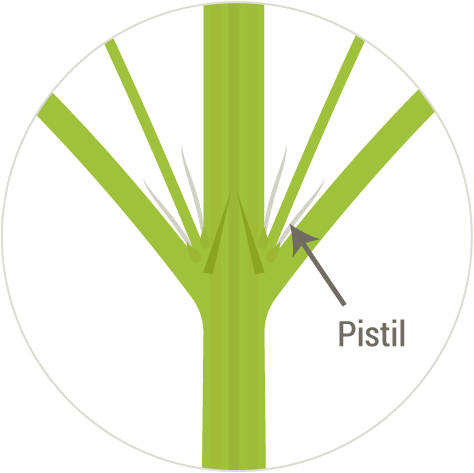 These fine white hairs confirm that you have female and this step is critical because as you know, male plants don’t produce buds. 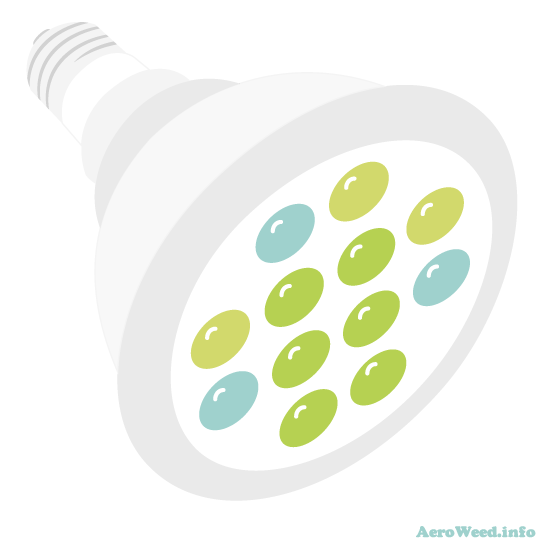 Adding one, or even two light surrounding your plants would boost the overall yield. 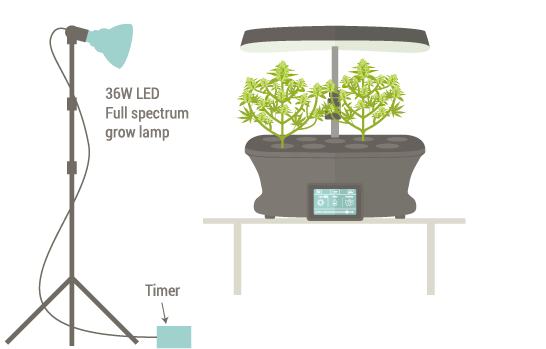 In my setup, I use two additional 36W grow lights to help the flowering process. With these LED grow lights positioned at 12 inches from the plants, I grow big, rock-solid buds covered with trichomes. You can plug lights into a light bulb holder socket and use a photo light stands like in the diagram below. These stands give the flexibility to direct the grow lights exactly where you want. If you’re using a grow tent, use tie wraps to fix light and socket to the structure. All you need to do at this point is synchronized a digital plug-in timer with the AeroGarden light cycle, and the work is done. The skunky odor of cannabis is immediately noticeable by both smokers and non-smokers. If you’re like me and don’t want your home smell like a weed greenhouse, you will likely need a grow tent and a carbon filter. Alternatively, you can try a low odor strain like Blue Mystic, or Blueberry Kush. But in the late flowering stage, it will smell a bit. Grow tents are available in all sizes and comes with different holes configurations to insert air ducts. I have a 32″ x 32″ x 63″ IDAODAN grow tent, and so far, I’m happy with this model. The zip is heavy duty, the material is well made and blocks light entirely, the structure is robust enough to support the carbon filter weight (yes, this one is quite heavy), and they offer a two-year guarantee. 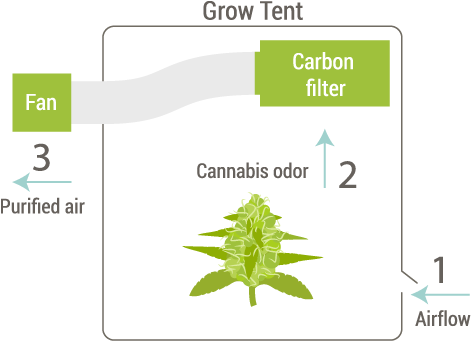 The carbon filter works perfectly for me, and it eliminates 100% of the cannabis odor. I use a 6-inch Vivosun carbon filter, and it looks to last forever. If you choose the IDAODAN tent with 7-inch holes, this 6-inch carbon filter combo will fit perfectly, and all you have to do is fix it with the provided straps on the top of the tent. I have attached the fan outside the grow tent to have more space inside. Don’t set the fan at the highest speed to avoid wind burning your plants. And finally, don’t forget to open an air hole on the bottom of your tent to create an airflow.